In my opinion, one of the hardest parts about traveling is the packing. When I went on a month-long trip to Istanbul, I had the worst time packing my accessories and makeup. Sure, I have makeup bags which aren't that spacious and for jewelry? Nothing as sad as that sounds. Yet I still was determined to take them! The result was ending up with bracelets and watches scratched against each other and even a lost earring. Oh and trying to find my jewelry in my suitcase and worrying about things getting lost? It was all just a nightmare. 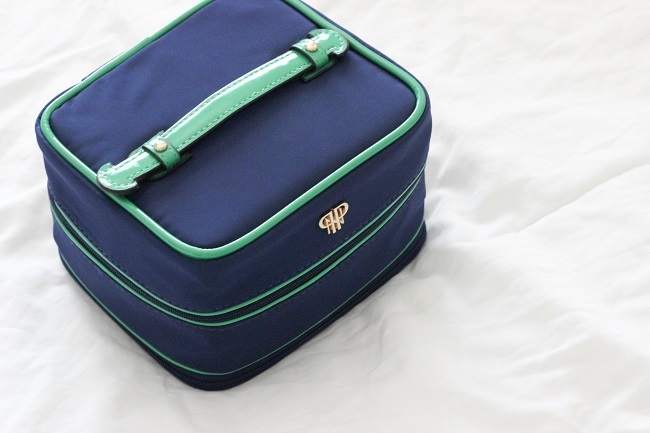 I learned the hard way that I desperately needed to invest in something that would keep all my items together and organized so I can travel stress-free. 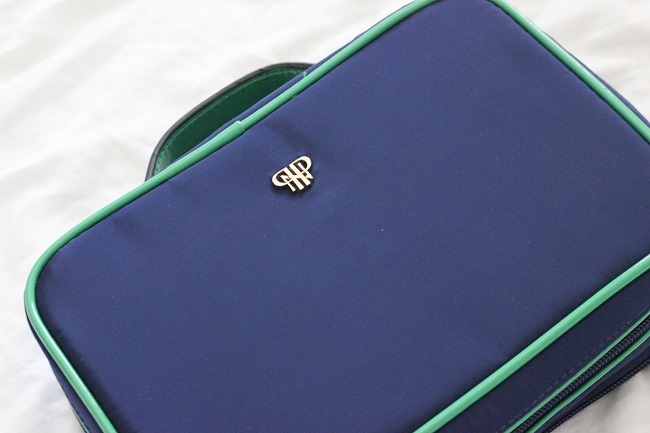 That's why I was so excited to have the opportunity to work with PurseN, which is a company that specializes in luxury travel accessories. They carry a large variety of items such as handbag organizers, jewelry cases, makeup cases, and even makeup brush stands in the most beautiful colors and patterns. Perfect for a fashionista like me who loves to travel but wants to look stylish while doing it! 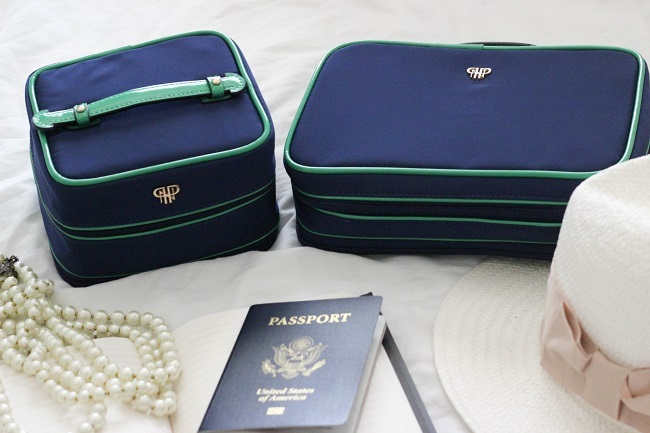 I was lucky enough to receive the Lexi Travel Organizer and the Tiara Vacationer Jewelry Case from their new Audrey collection which is of course is inspired by my idol: Audrey Hepburn. Here's a little fun fact about me: I adore old Hollywood movies (even the black and white ones!) and have always admired the way people used to dress up and look glamorous while traveling and that seems to be lost today. Yet I'm so happy to see that PurseN is bringing back that glamour into our everyday lives! 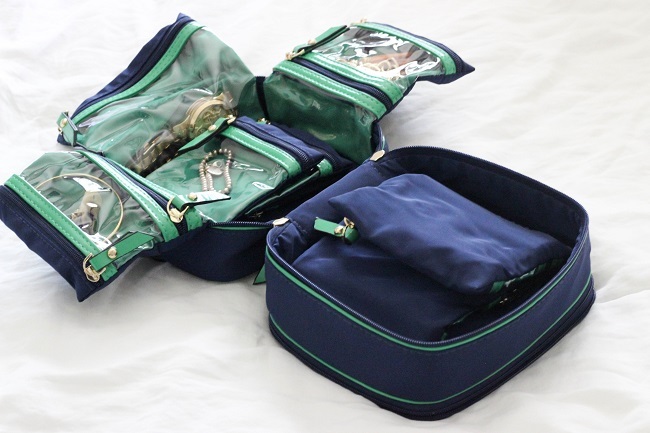 First up is the Lexi Travel Organizer which looks small on the outside yet fits so much and is easy to store in your carry on. 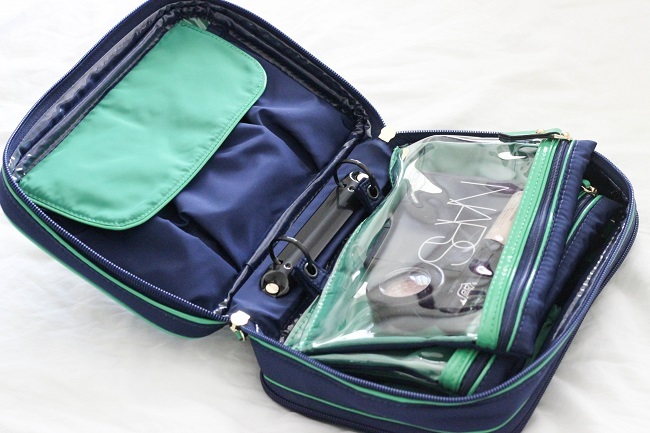 This is perfect if you need something store all your makeup and brushes since it has 9 separate compartments, 6 built in pockets which are see-through, 3 removable pouches, and a 2 ring binder so you can easily flip through it. 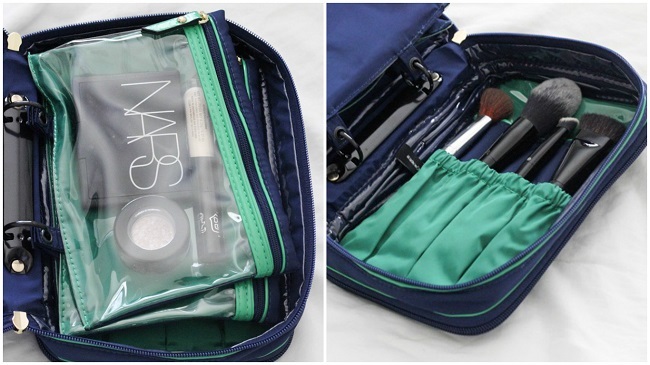 This make things so much easier compared to just throwing all your makeup in one bag and plus you can store 4 of your brushes in the back without worried about them getting ruined. 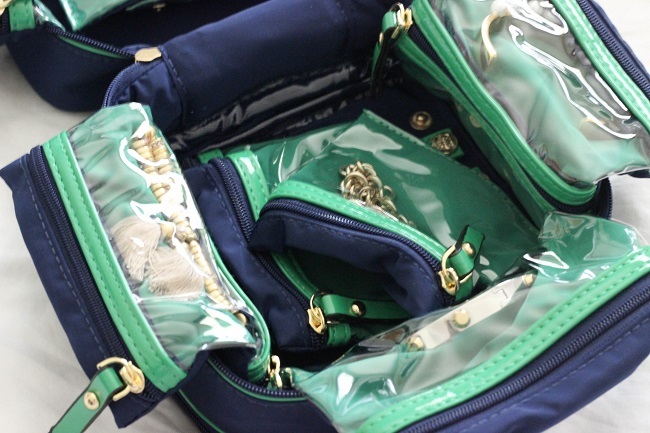 Next up is the Tiara Vacationer Jewelry Case which once again, looks tiny yet fits and protects so much jewelry with all of it's built-in pouches. There are 16 total pouches, 4 built-in double pockets, 2 built-in large end pockets (perfect for watches and thick bangles), 6 removable zippered pouches, and even a padded ring strap. So useful and perfect if you have a lot of jewelry and want to prevent them from getting scratched while traveling. The best part is that I'm doing a giveaway over on my Instagram (@ruyakiraccc) so you can have a chance to win both of these items! The giveaway ends next Monday (Sept 5th!) so make sure to enter before it's too late. Luxury Hotels has significantly expanded its global footprint, its collection of member hotels has introduced an indigenous luxury lifestyle that is renowned all over the world. Best tours for private flying to fit your interests and budget with Luxury private jet charter. Find the latest luxury travel ideas & exclusive special offers at insider prices.